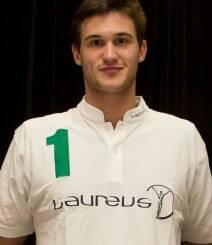 Laureus World Sports Academy Members and Laureus Ambassadors are accomplished athletes who volunteer their time to support our mission. 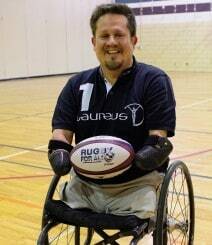 They truly believe in sport’s ability to change lives for the better. By attending our events, visiting programs and speaking to the press, they help bring new awareness to sport as a tool for social change. More than 60 sporting legends make up the Laureus World Sports Academy, led by Chairman and rugby legend Sean Fitzpatrick. 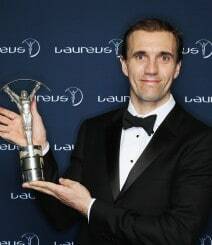 More than 200 champion athletes have also pledged as Laureus Ambassadors. They all share a belief in the power of sport to break down barriers, inspire change and improve the lives of young people around the world. 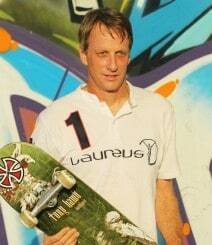 At age 12, Tony Hawk began winning amateur contests, at 14 he turned pro, and at 16 he was widely regarded as the best competitive skateboarder in the world. By the time he was 25, he had competed in 103 pro contests, winning 73 of them and placing second in 19 competitions. He was crowned Vertical Skating’s World Champion 12 years in a row. Considered one of the most successful and influential pioneers of modern skateboarding, Tony was the first skater to land a “900” — a trick involving the completion of two-and-a-half mid-air revolutions on a skateboard. In 2009, he was inducted into the Skateboarding Hall of Fame. At the 1976 Montreal Summer Olympics, Nadia Comaneci became the first female gymnast to be awarded a perfect score of 10 in an Olympic gymnastics event. By the end of the 1976 games, she would earn seven perfect 10s, three gold medals, one bronze, and one silver medal. Four years later at the 1980 Moscow Summer Olympics, Nadia earned two more gold medals and two silver medals, bringing her Olympic total to nine medals — five gold, three silver, and one bronze. In 1996, Nadia was inducted into the International Gymnastics Hall of Fame. 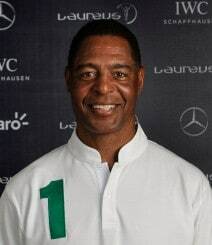 Over the course of his career, Marcus Allen scored 145 touchdowns, including a then league record 123 rushing touchdowns, and was elected to six Pro Bowls. He was the first player ever to gain more than 10,000 rushing yards and 5,000 receiving yards during his career. Marcus won the Heisman Trophy, an NCAA national championship, the Super Bowl, and was named NFL MVP and Super Bowl MVP. Marcus has been inducted into the College Football Hall of Fame and the Pro Football Hall of Fame. 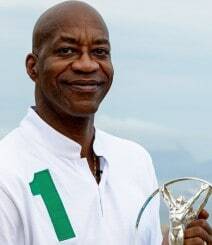 Edwin Moses is a three-time Olympian who won gold medals in the 400-meter hurdles at both the 1976 and 1984 Olympics. 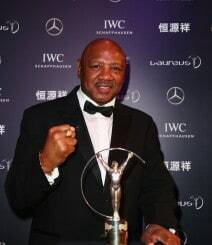 Between 1977 and 1987, Edwin won 107 consecutive finals and set the world record in his event four times. 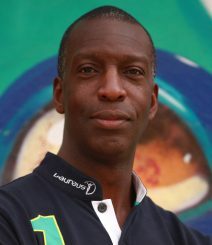 In addition to running, Edwin has been an innovative reformer in the areas of Olympic eligibility and drug testing, and he serves as Chairman of the US Anti-Doping Agency (USADA). In 1994, Edwin received an MBA from Pepperdine University and was inducted into the National Track and Field Hall of Fame. 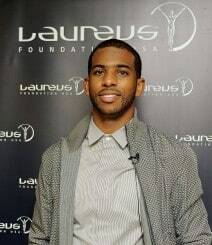 In 2000, he was elected the first Chairman of the Laureus World Sports Academy. 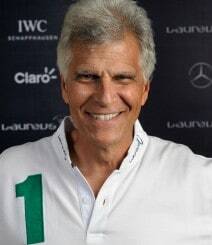 Mark Spitz is a nine-time Olympic champion and former world record-holder in seven events. 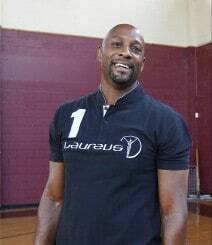 Between 1968 and 1972, Mark won nine Olympic gold medals: a silver and a bronze; five Pan American gold medals; 31 AAU titles; and eight NCAA titles. During those years, he set 35 world records — two were in trials and unofficial. 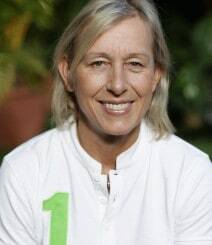 With a career spanning four decades, Martina Navratilova is widely regarded as the greatest female tennis player of all time. She won an unprecedented 59 Grand Slam titles, including a record nine Wimbledon singles championships; 167 singles and 177 doubles championships. Martina was the Women Tennis Association’s (WTA) “Tour Player of the Year” seven times, named the Associated Press’s “Female Athlete of the Year,” and was declared one of the “Top 40 Athletes of All Time” by Sports Illustrated. After being inducted into the International Tennis Hall of Fame, she continued to compete in WTA events and the 2004 Olympic Games. In 2006, at the age of 50, she became the oldest player to ever win a Grand Slam title as a mixed-doubles champion at the US Open. Missy Franklin is a five-time Olympic gold medalist in swimming. 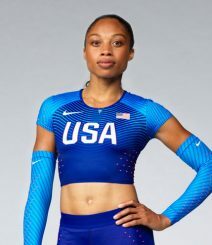 She won gold at the 2016 Olympic Games in Rio de Janeiro, adding to her four gold medals from the 2012 Olympics in London. In her career, she has earned a total of 11 World Championship titles, as well as four individual NCAA titles. 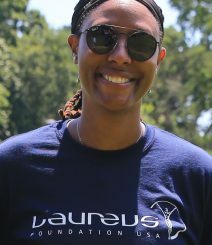 She is the youngest ever Laureus Academy Member, and has helped amplify sport as a tool for social change by visiting programs and speaking at our events. 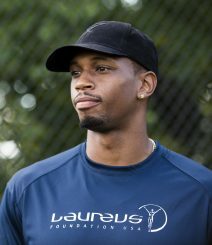 Currently a team captain and forward New York Knicks, Lance Thomas won the NCAA Men’s Basketball Championship with Duke University in 2010. Lance also won a bronze medal playing for the US Basketball Team at the Pan American Games in 2011. 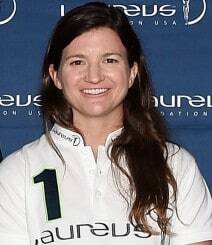 Kelly Clark is a five-time Olympian and a three-time medalist, winning a gold medal for women’s halfpipe at the 2002 Winter Olympics and competing in the halfpipe event again in the 2006 Winter Olympics. She won a bronze medal in the halfpipe in both the 2010 Vancouver Games and the 2014 Sochi Games. 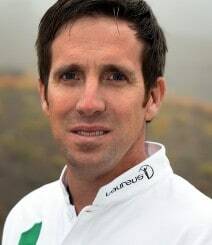 Kelly has made 15 X Games appearances and holds six US Open Titles. 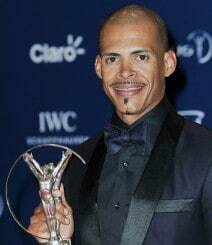 Felix Sanchez is a two-time Olympic gold medalist in the 400-meter hurdles, winning gold medals in 2004 and 2012. He also holds the 2001 and 2003 World Championship title in the 400-meter hurdles. Just before turning 36, Felix set the Masters M35 World Record with a time of 48.10. An American by birth, he is of Dominican descent and competed for the Dominican Republic. He earned two of the three Olympic gold medals ever won by an athlete from the Dominican Republic. Competing since 1996, Jamie Bestwick is a dominating force in BMX Vert. He has won a record-breaking nine consecutive Vert titles at X Games before his silver medal finish in 2015. He holds 12 of the 22 BMX Vert gold medals awarded in X Games history.